Fall has blown in like a whirlwind bringing soccer, dance, monarch butterflies and chocolate cake. It’s fun, but chaotic. Any given afternoon may include homeschooling, monarch butterfly tagging and then rushing to get ready for dance or soccer. And somewhere in the middle of all of that we still need to fix family dinner…hopefully eating together and hopefully eating somewhat healthy. And I’ll be honest, it all can get overwhelming at times. Many nights we are returning to the house from dance or soccer after dark. Then, it’s another hour of wrangling kids into pjs, making sure they are reasonably clean and teeth are brushed before quick story time. Finally, it’s time to collapse after another 45 minutes of prepping for the next day. That’s usually about the time my dessert craving kicks in! But I know I should show restraint and I’m also too tired to spend a lot of time baking. Vegan Gluten-Free Chocolate Mug Cake to the rescue! Fall does include a lot of baking which for the most part I enjoy. The cool breezes of any town U.S.A. float through the open windows making standing in the kitchen with a warm oven once again feel like a reasonable activity. The cool breeze wafts back out again carrying with it the smell of Mulligatawny Soup, Homemade Apple Crisp, Crunchy Chicken Casserole. 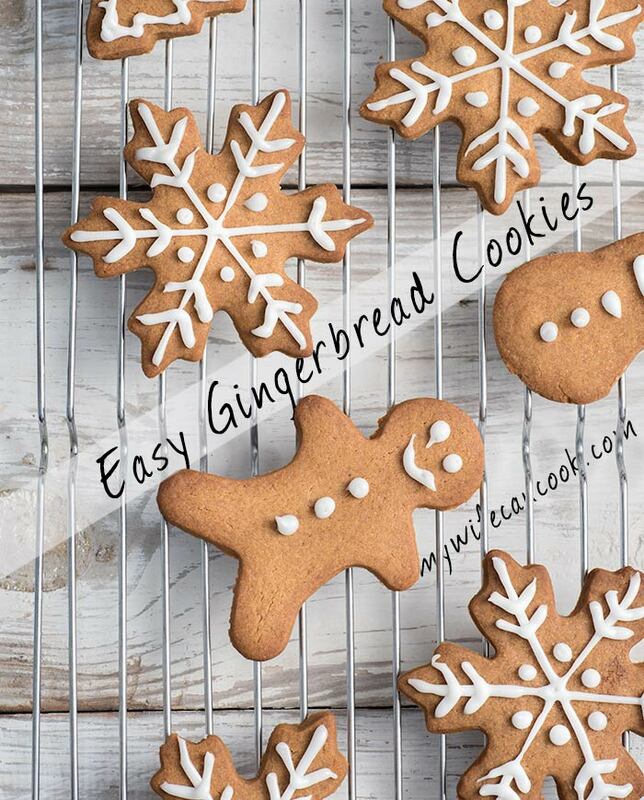 These and many more fall favorite recipes are once again in regular production. But some nights…..it’s enough already! No more baking. Where’s my reward for all this hard work? And so when I first heard about chocolate mug cake I was like “What? I can be eating chocolate cake in about 5 minutes? What is this magical dessert voodoo you speak of because I want in!”. I think microwaving an entire chocolate cake might not go so well, but single serving coffee mug cake is pure genius. This is what microwaves were made for. When the trend of mug cakes began, I’ll admit, I was skeptical. 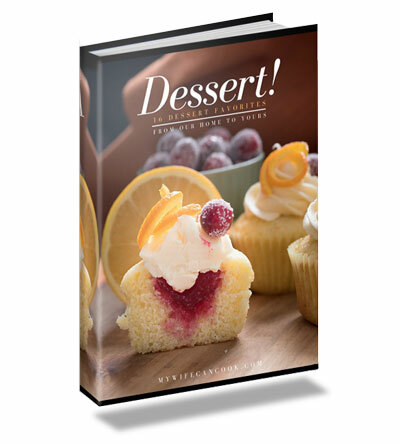 I thought….really…a microwave cake recipe? I mean the microwave is sometimes okay for reheating, but not exactly the tool of choice you think of when it comes to baking. But once I tried my first mug cake recipe, I was hooked. Let’s be honest, when you can be eating chocolate cake in about 5 minutes, that’s a pretty big selling point! I also love that once you’re done enjoying your chocolate mug make you don’t have chocolate cake leftovers staring at you for the next several days. I want dessert, not a week long test of willpower which will like become a week long chocolate cake gorgefest. Since I have been trying to limit my dairy consumption, I decided to make a vegan chocolate mug cake with peanut butter. This mug cake uses quinoa flour, cocoa, almond milk, and coconut oil. It’s vegan, but it still tastes great. So if you’re look for a mug cake recipe with no egg that’s vegan and gluten-free, then you’ve come to the right place. And I’ve been a big fan of quinoa flour for a while now so that was an logical choice for this easy mug cake recipe. We have another vegan chocolate cake recipe that uses quinoa that we love which we’ll share here sometime in the future. You can omit the peanut butter in this mug cake if that’s not your thing, but I’m a big fan of chocolate and peanut butter together. 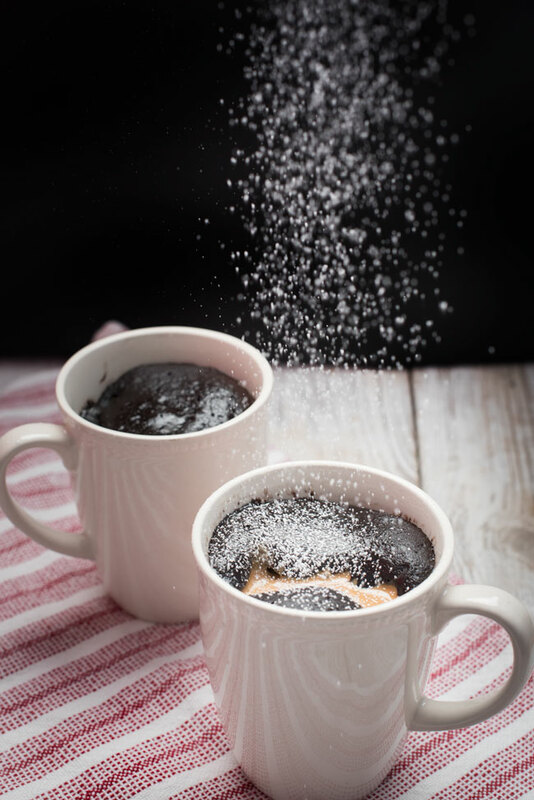 The prep for this chocolate mug cake is about as easy as it gets. If you can add a few ingredients to a coffee mug and move your hand in a circular stirring motion then you’ve got what it takes. All that’s left is punching a few buttons on your microwave and then you’re seconds away from coffee mug cake that will satisfy your dessert craving. 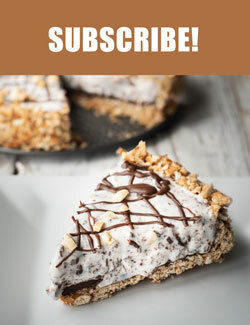 So if you’re tired of standing in the kitchen of prepping food that your kids turn their noses up at and you’re ready to fix a delicious chocolate dessert you can be eating just 5 minute from now check out the details below. 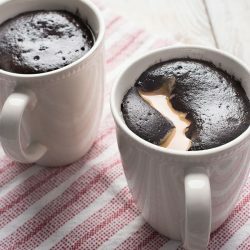 This vegan chocolate mug cake if for you! Enjoy. And if you have a favorite quick no fuss dessert that you love, please let us know in the comments below! Mix all ingredients except peanut butter in a small bowl. Pour/scrape into a greased mug. Drop peanut butter on top center of mixture. Microwave for 1 minute on power level 5. Kristen Wood | moon and spoon and yum. I love that you used quinoa flour! I often see mug cakes when I’m browsing Pinterest but hardly ever see any that are gluten free. This looks so tasty!! I think I bought it to make cookies or something? Then forgot. Mug cake it is! Peanut butter and chocolate are two of my favorite things in life but this mug cake takes my love to a whole new level! Drool worthy!!! Thanks, I love the combo of the two! Awesome combination of chocolate and peanut butter. Thanks. I think I tried Milo ages ago in Australia. I can’t remember if I liked it. 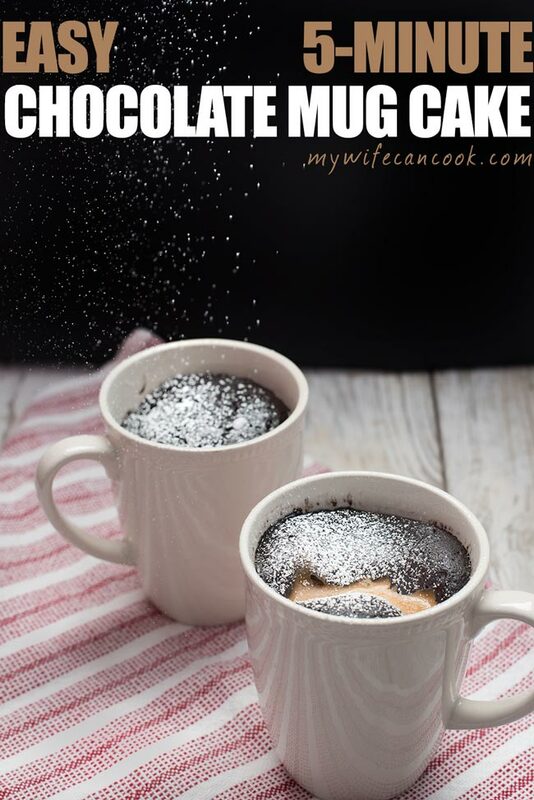 What a great idea- cake in a mug! Love it. Looks good, too. Thank you. A perfect midnight snack for this chocolate lover, and I just bought some quinoa flour today… coincidence or fate? Definitely fate! The universe is telling you to make this! Yay for mug cakes! 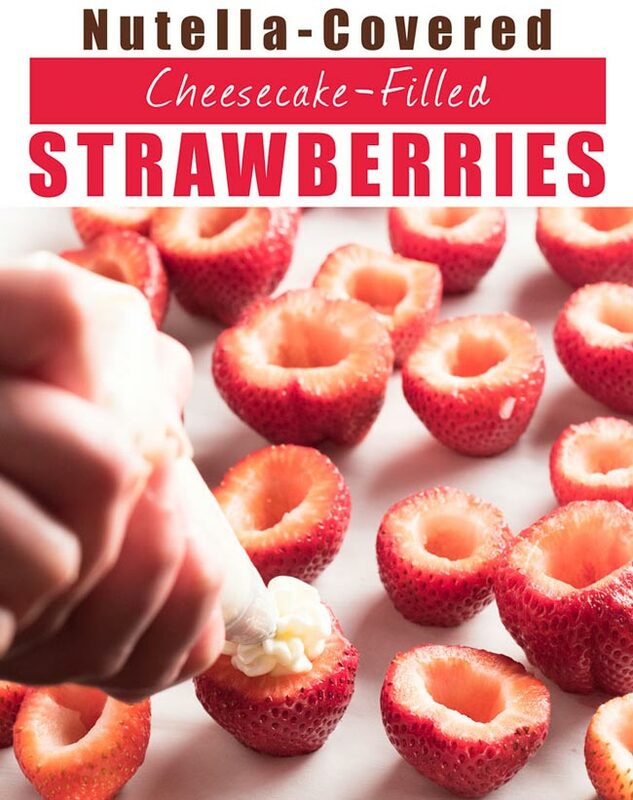 They are perfect for way you crave cake and want it ASAP haha! This mug cake looks amazing! I love that its vegan and also chocolate + PB! YUM!!! Thanks! Chocolate and peanut butter are hard to beat! 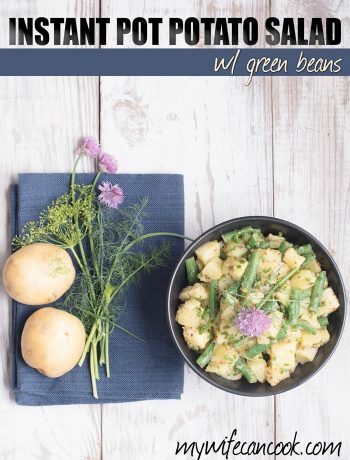 Can I substitute the quinoa flour for let’s say, almond flour or coconut flour? I have not tried it with either of those, but I am guessing it would work since this is not a “real” cake. It may need a different amount of liquid though. I may have to test it out and get back to you! O.k. so, made one for myself to “test” and all of my “oooh’s” and “ahhhh’s” made it so my hubby HAD to have one! 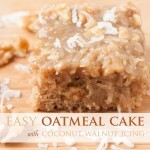 Hands down, the most delish, 30 sec treat on the planet!! It’s actually, probably, going to be a problem. My diet can’t handle the awesomeness. C’est la vie! It’s a keeper!! Thanks! Yes, it’s hard for us to resist having these frequently. Especially since it can be made quickly!